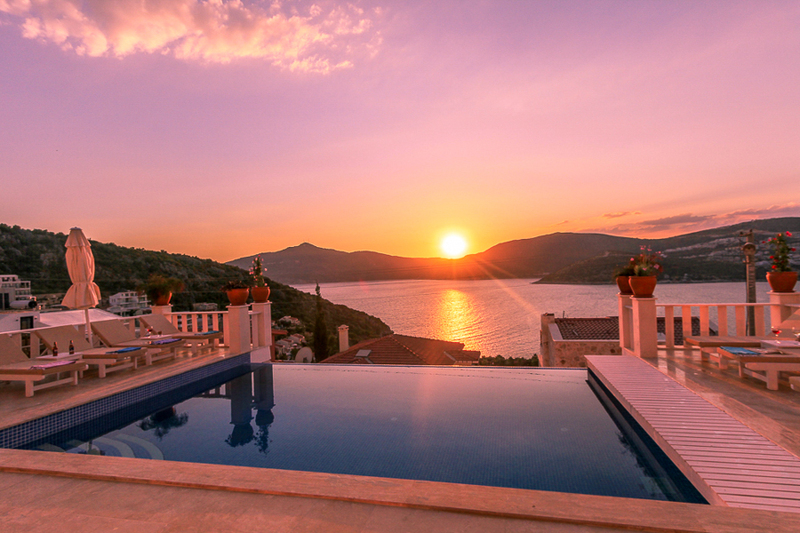 Villa Axi is simply stunning! 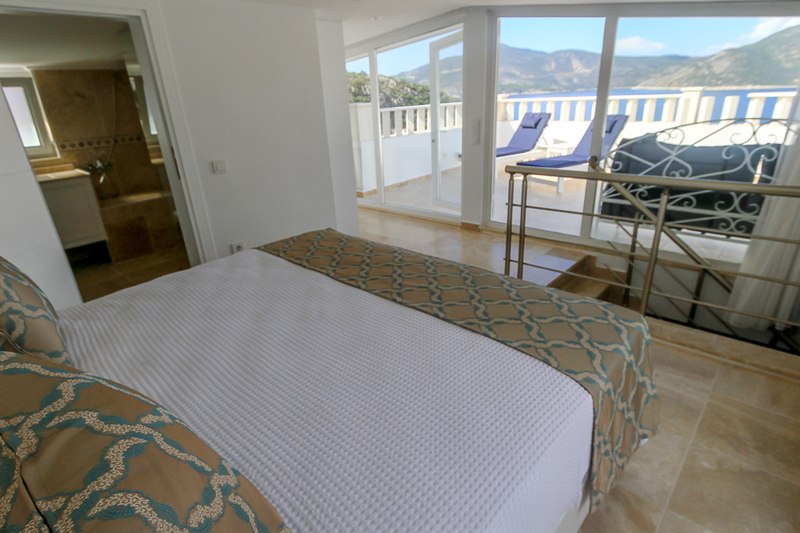 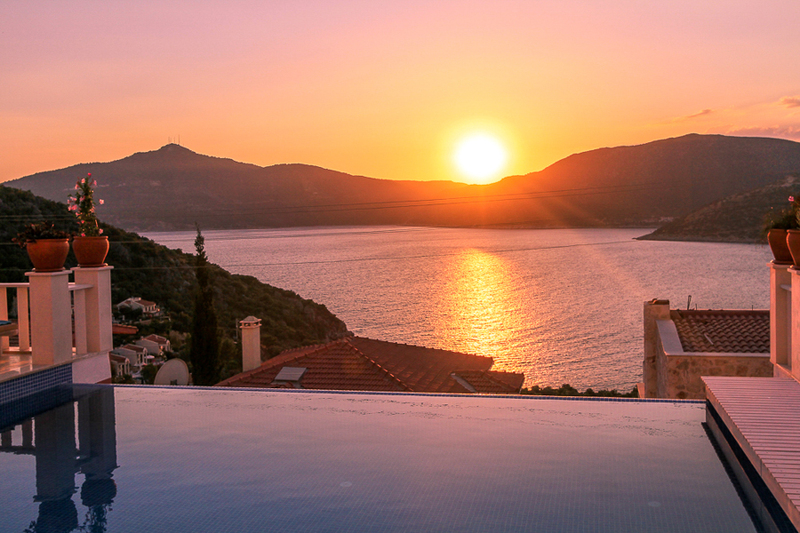 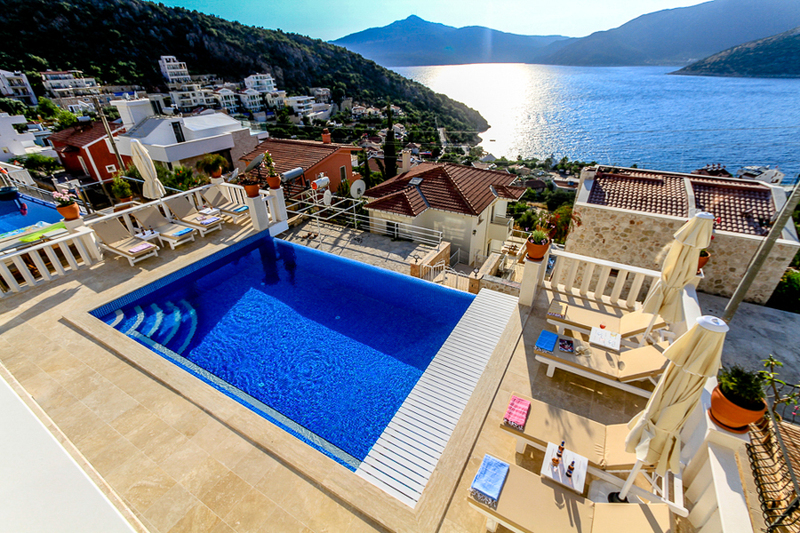 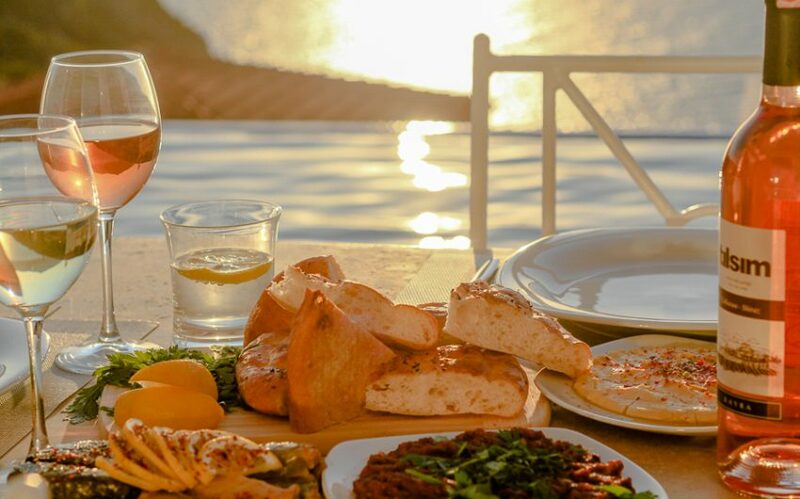 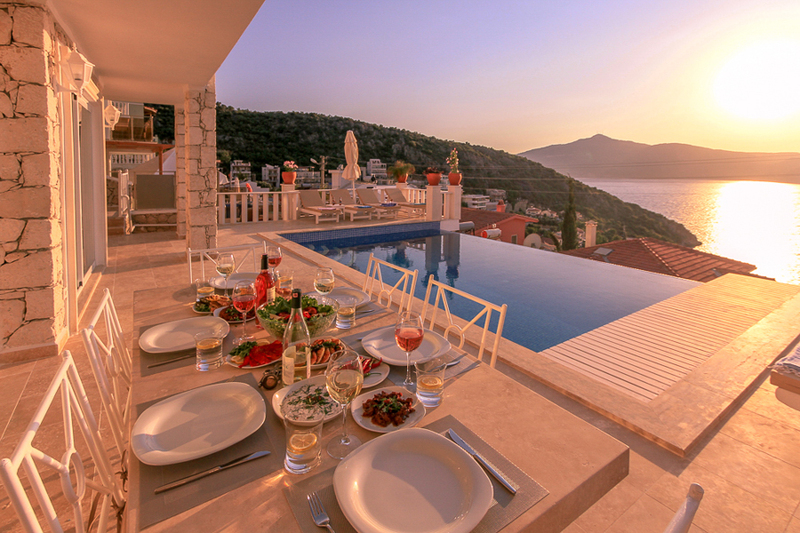 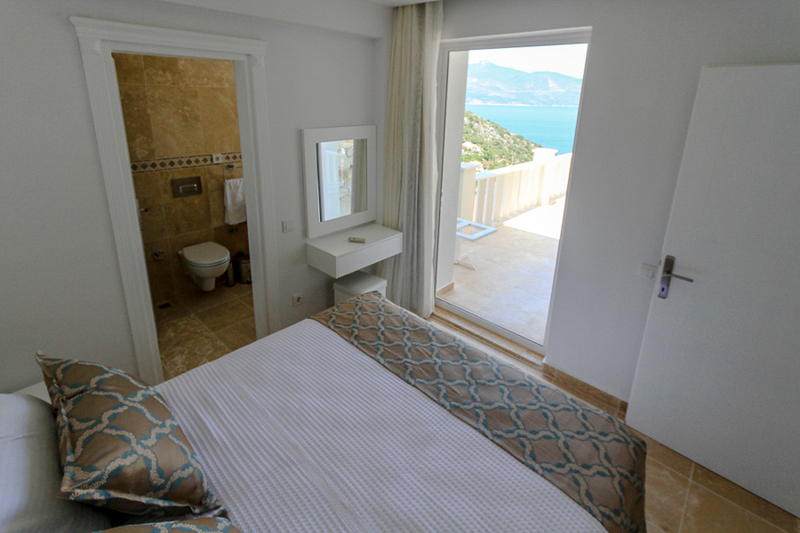 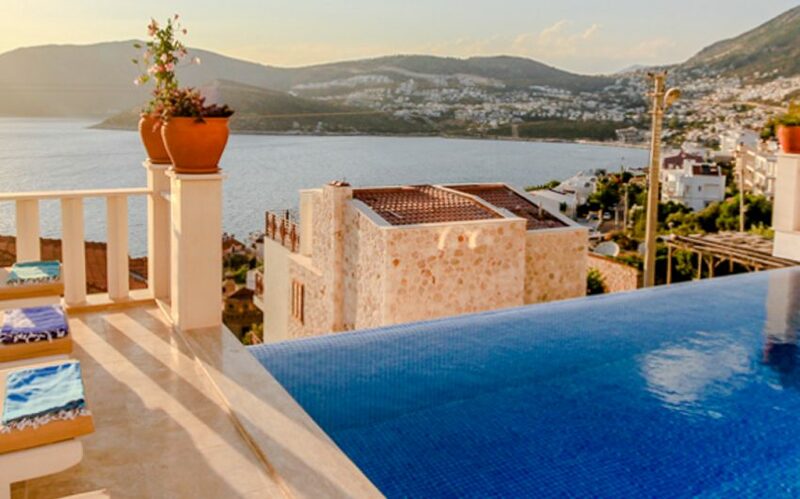 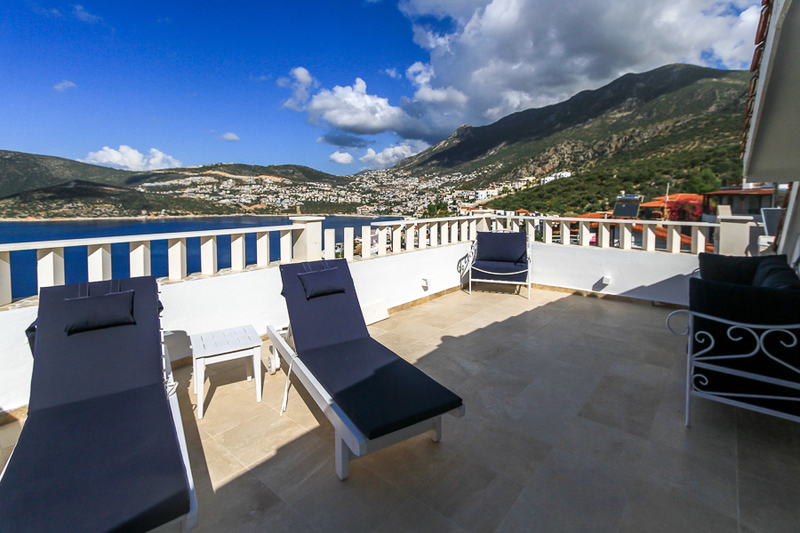 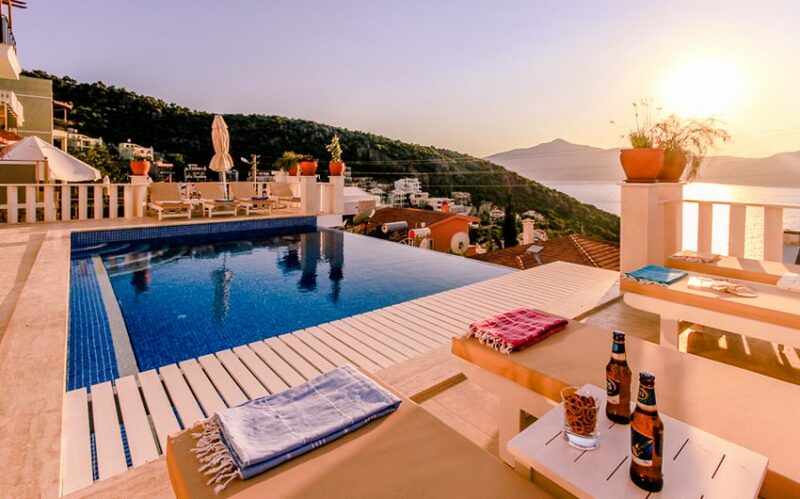 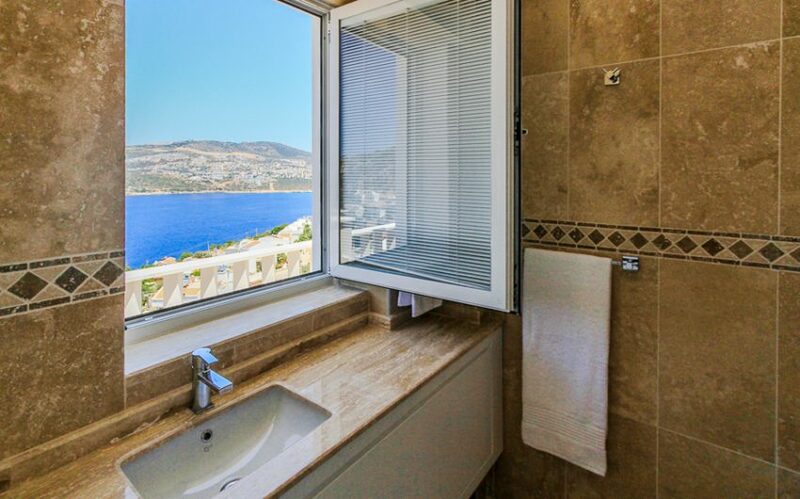 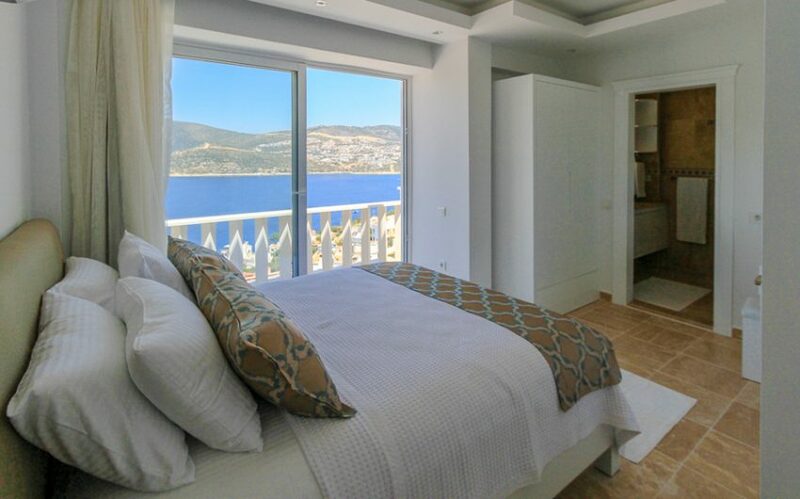 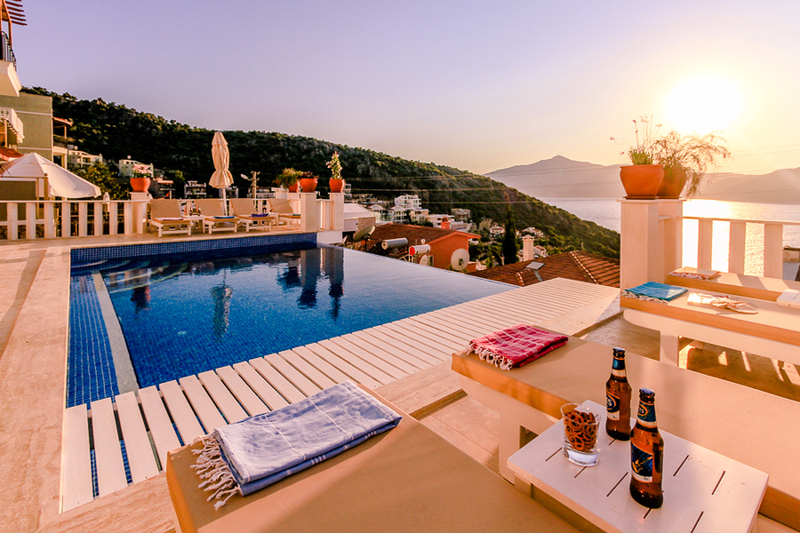 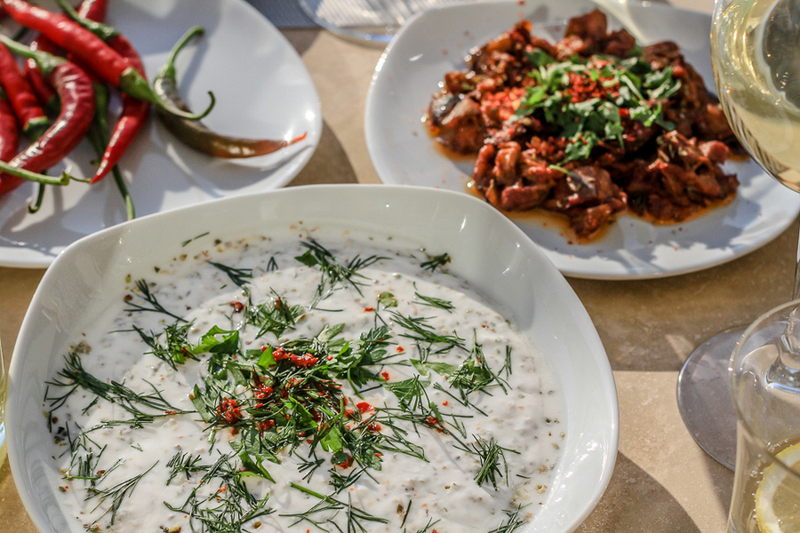 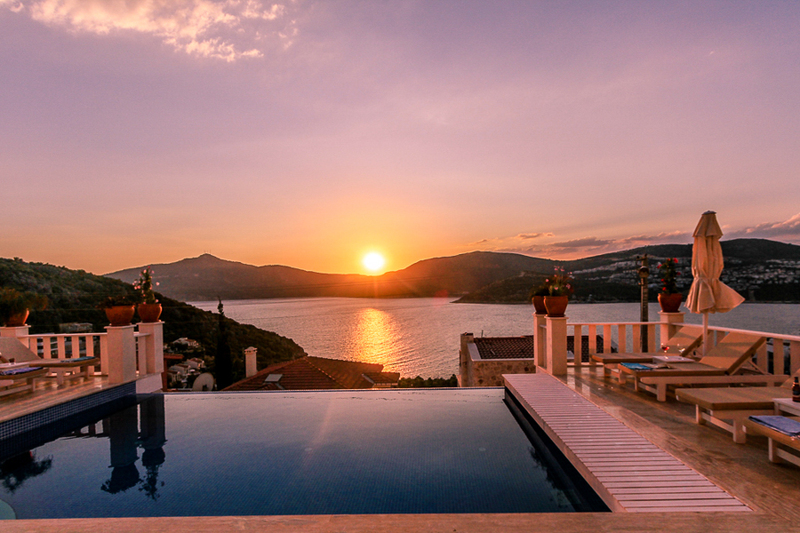 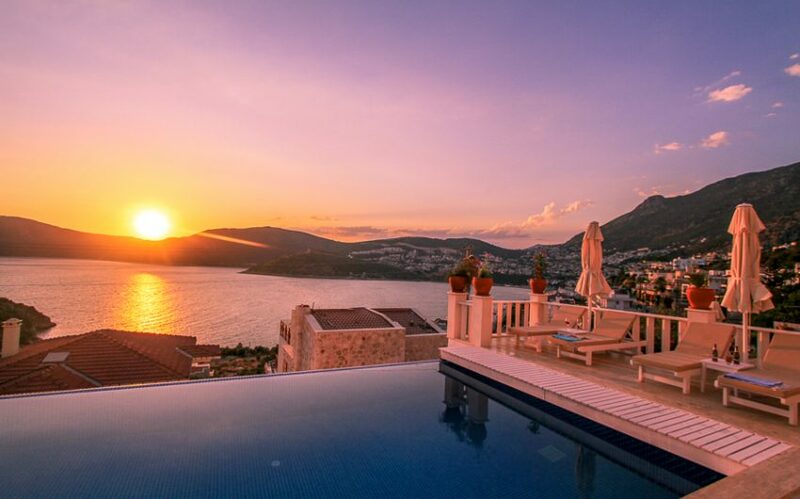 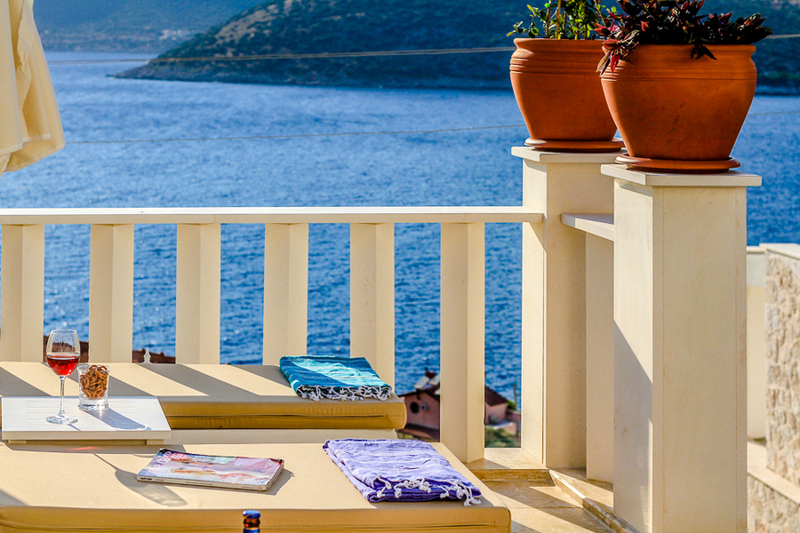 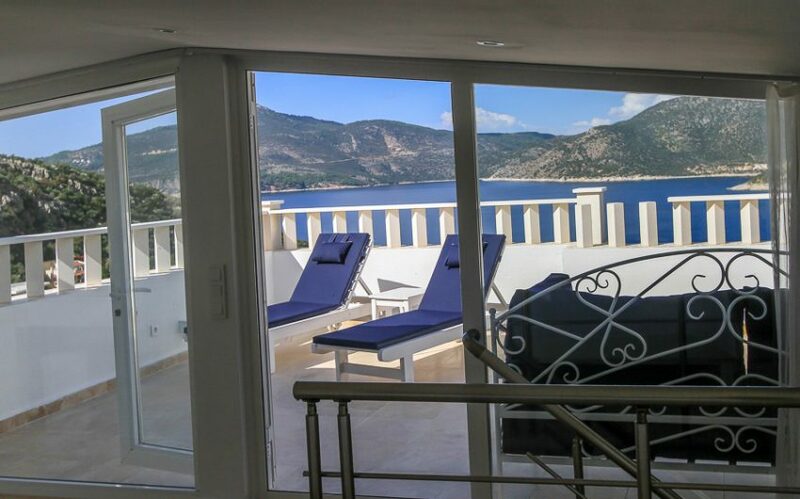 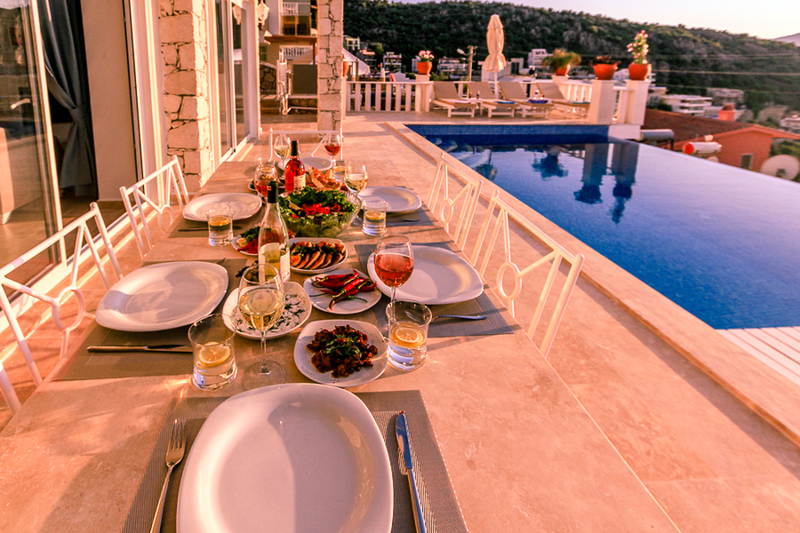 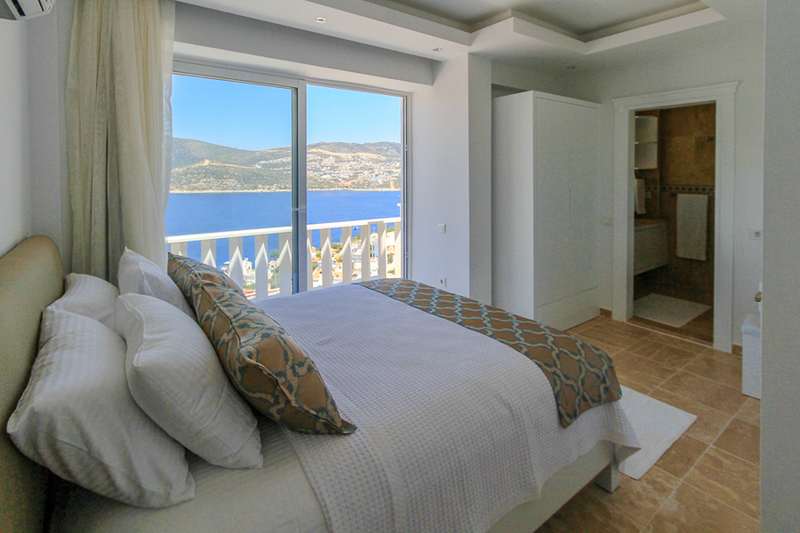 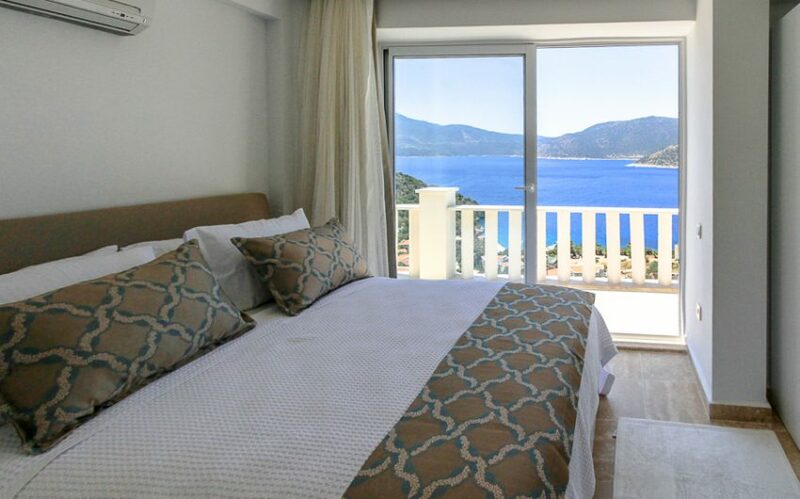 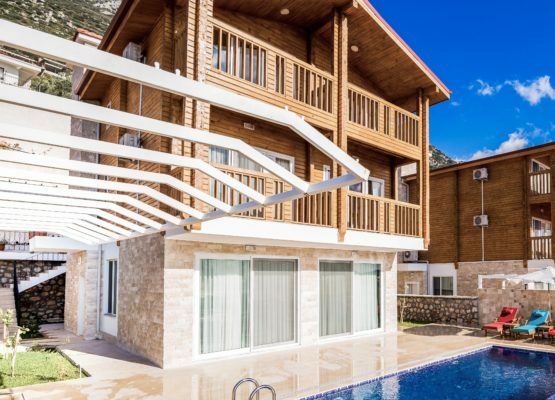 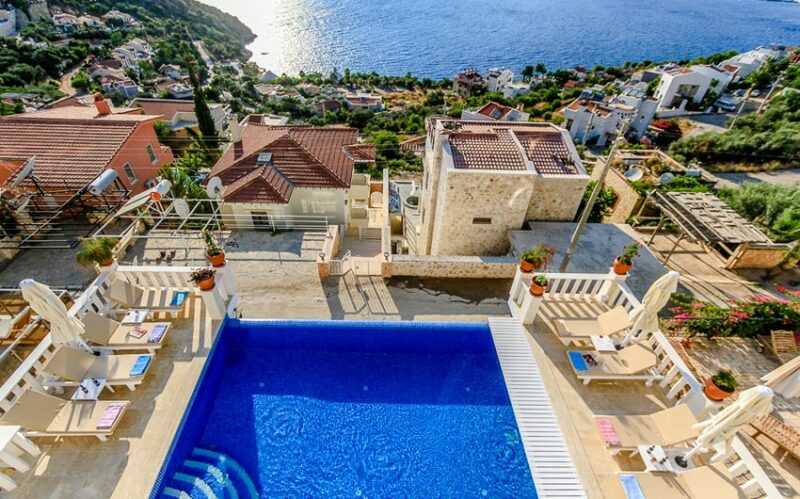 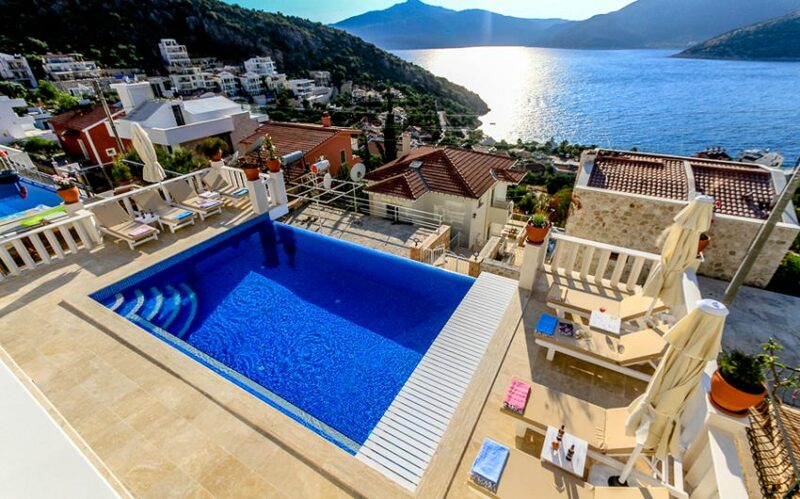 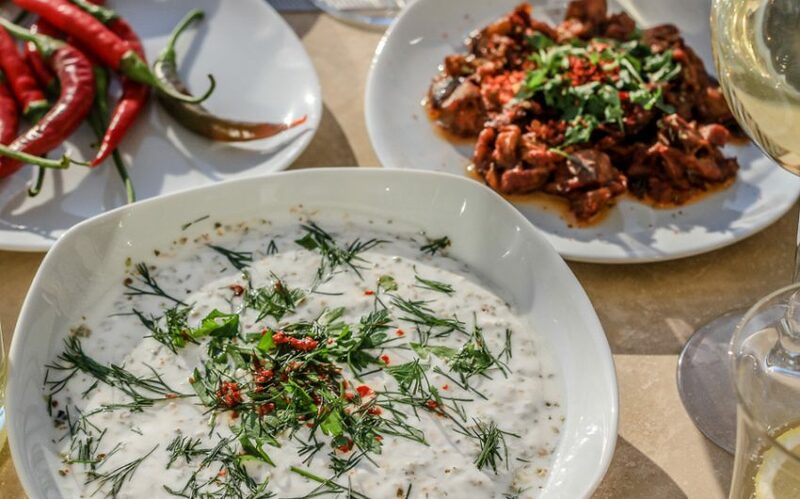 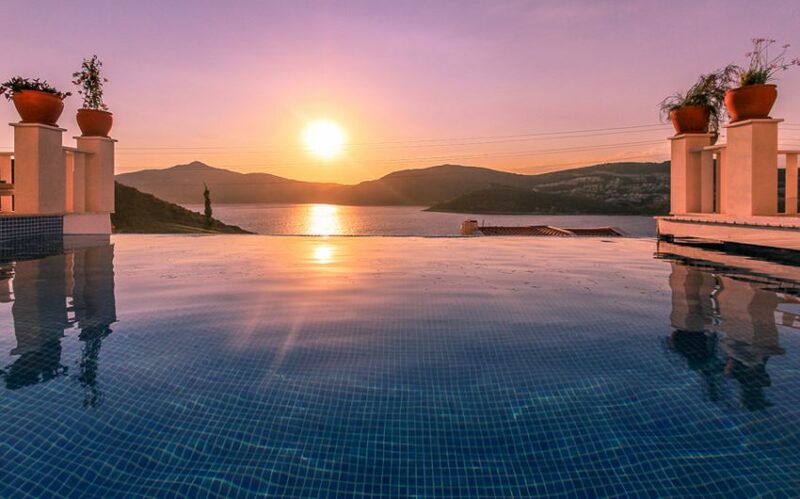 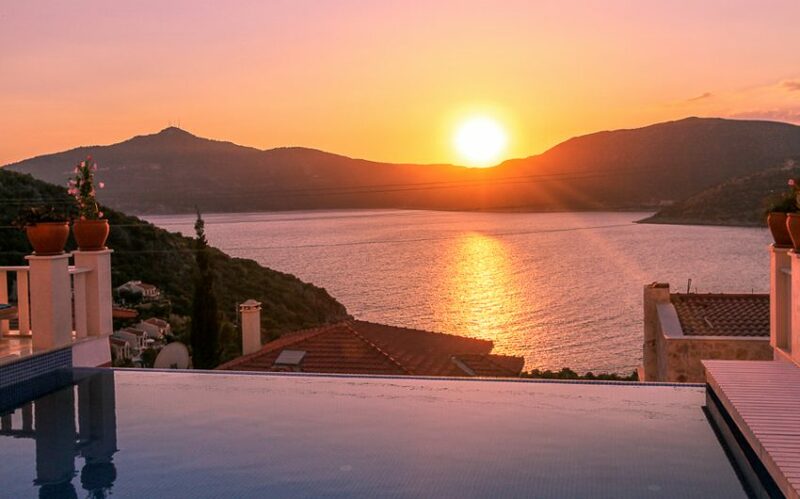 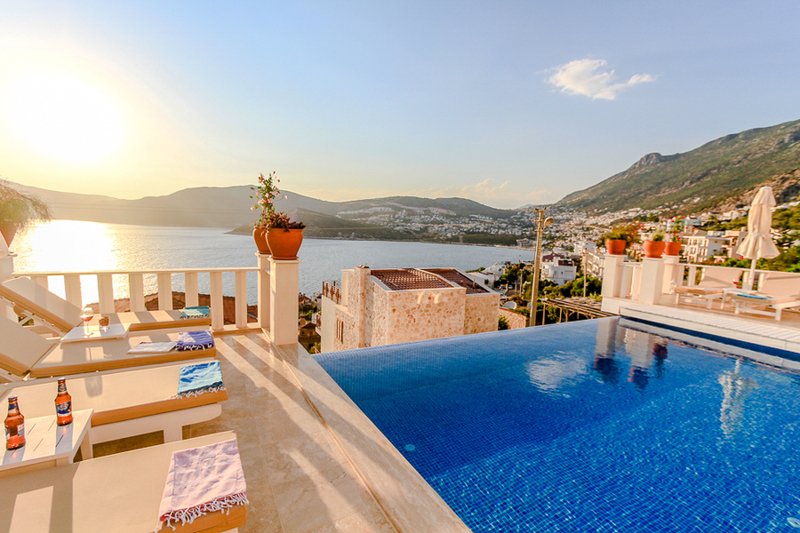 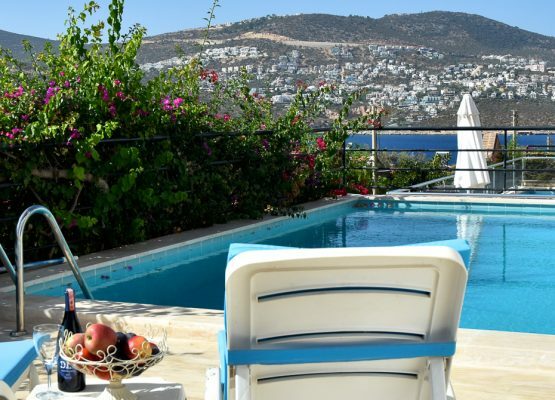 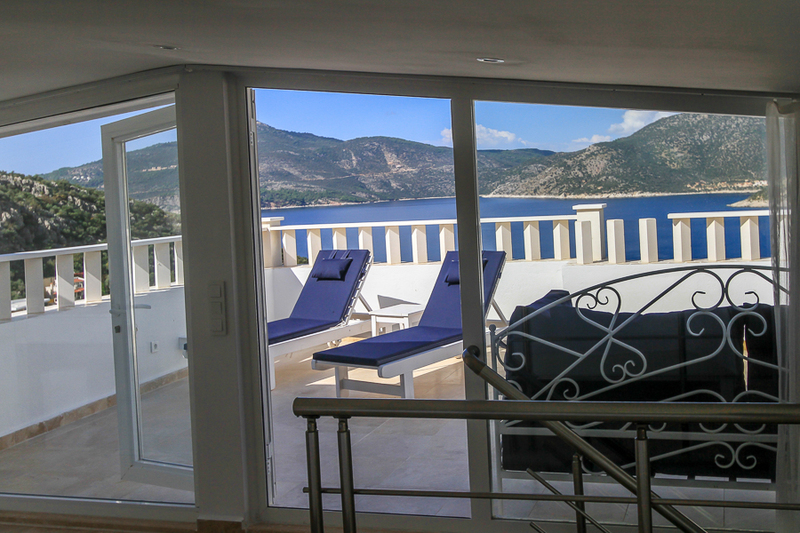 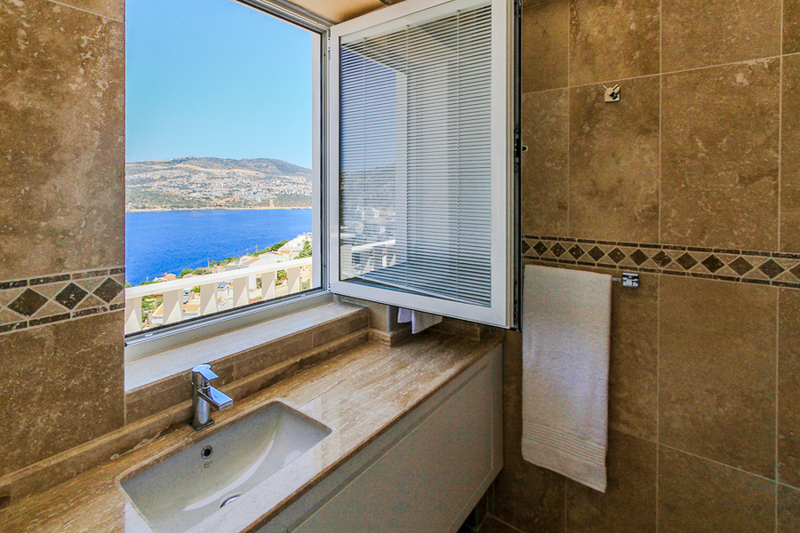 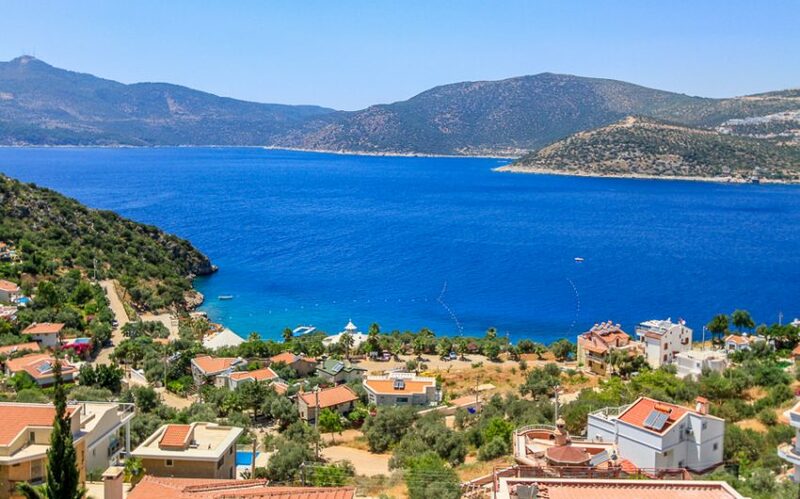 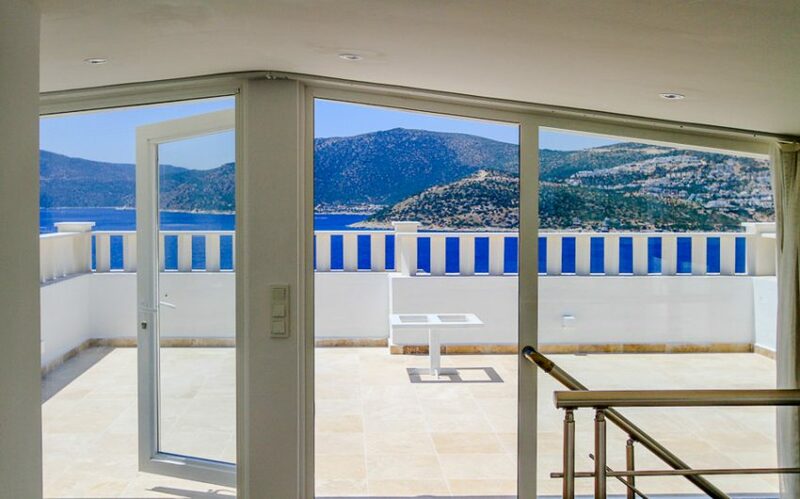 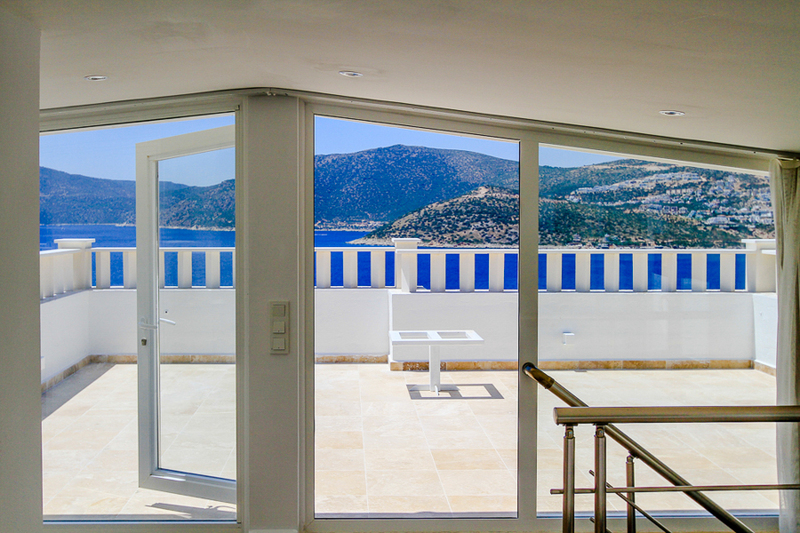 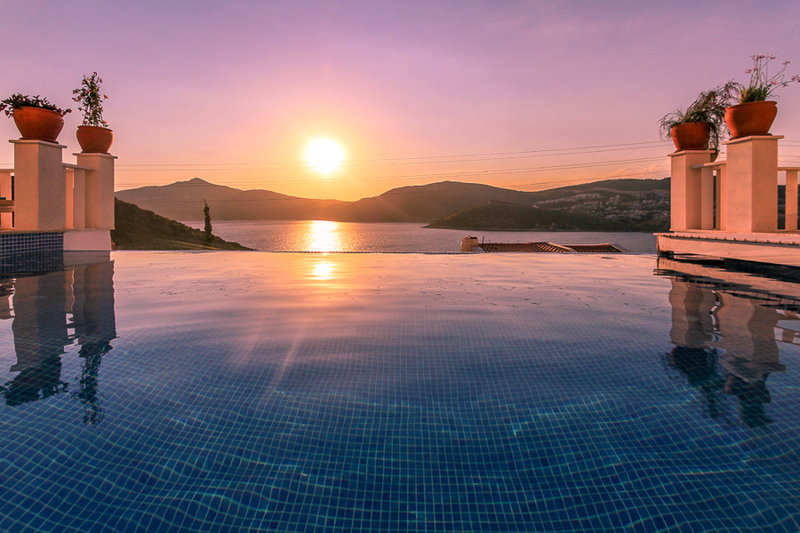 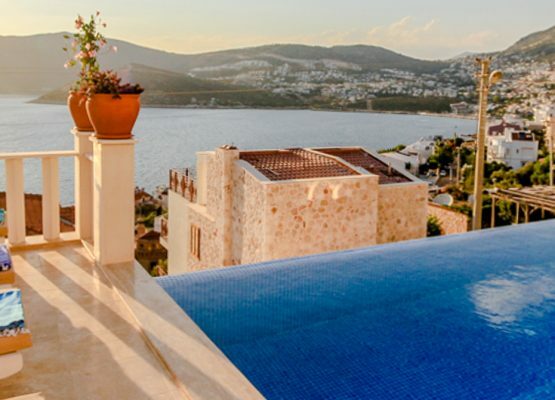 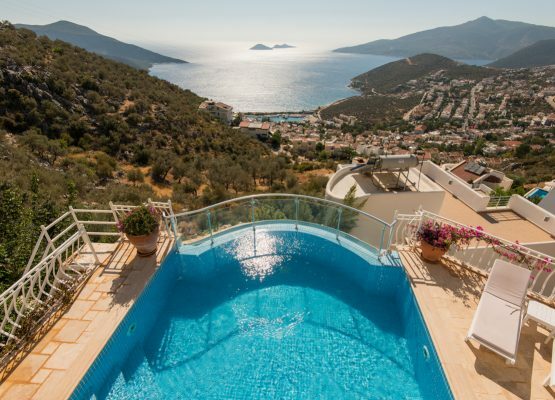 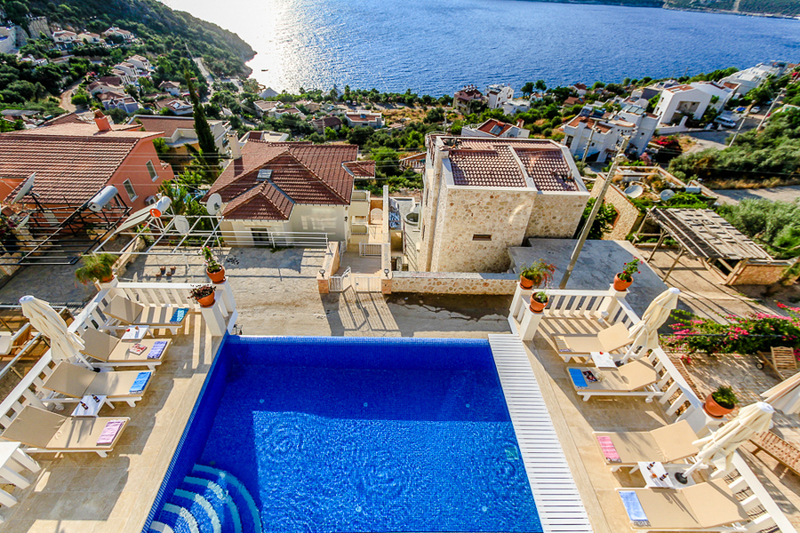 Situated in Kisla, one of Kalkan’s unrivalled, idyllic areas from which to enjoy the gorgeous vistas loaned to us from Turkey’s turquoise coast. 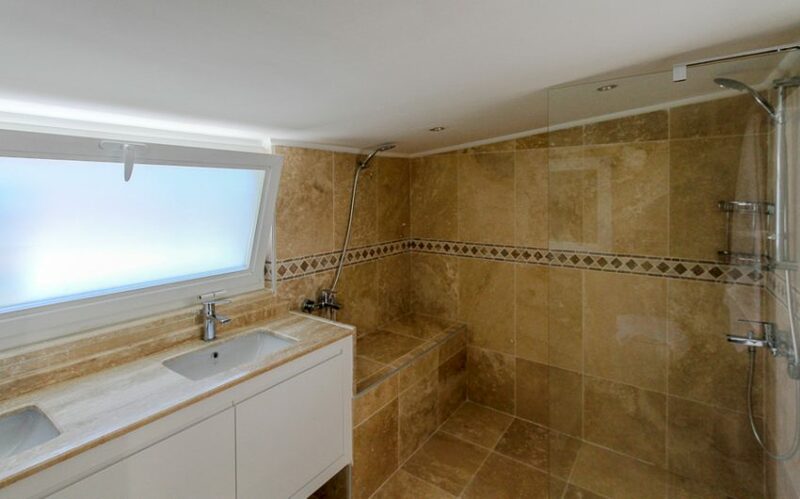 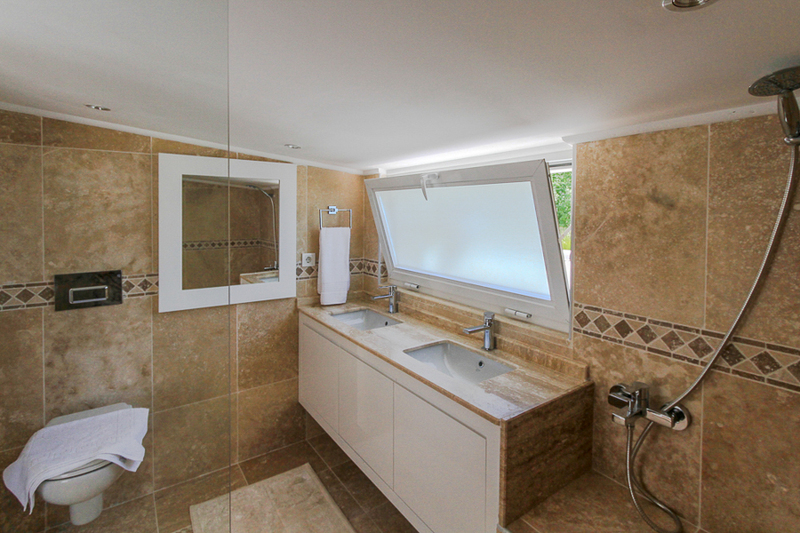 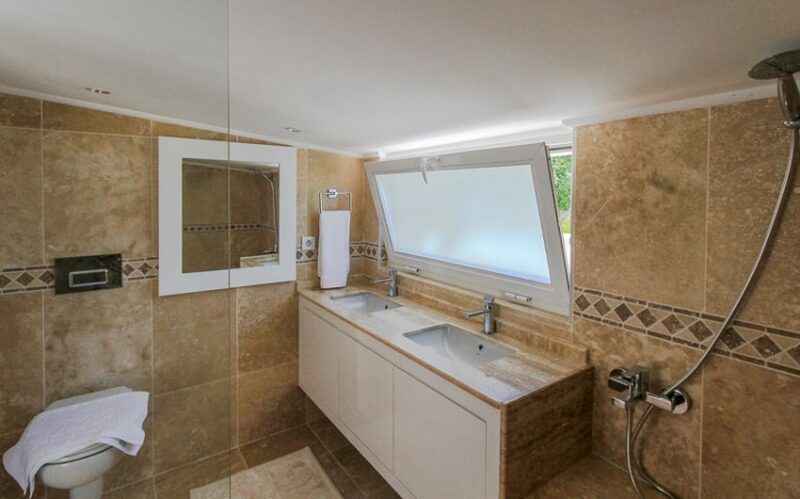 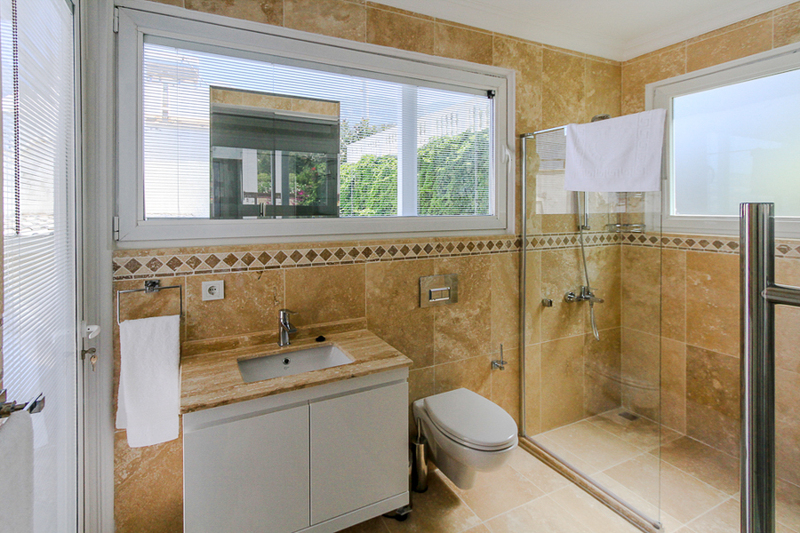 This superb detached villa with its own private pool was only completed in 2015, comprised of the finest materials, affording you all the mod cons and style you could wish for. 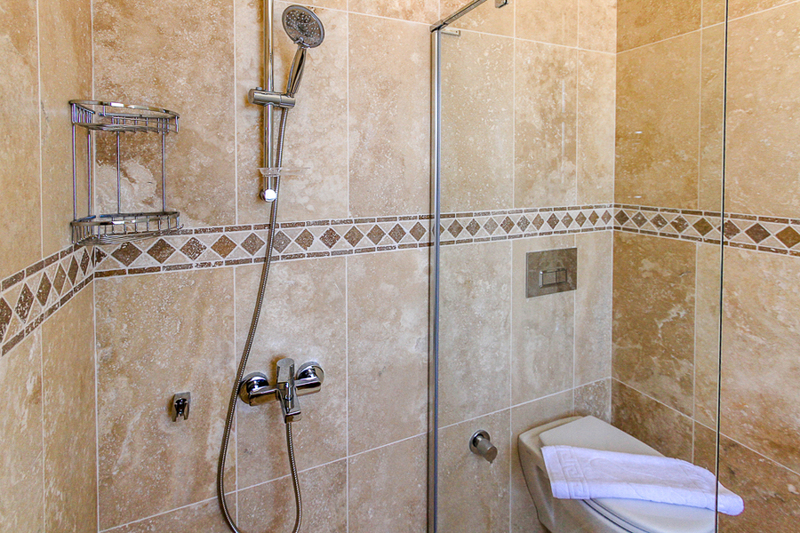 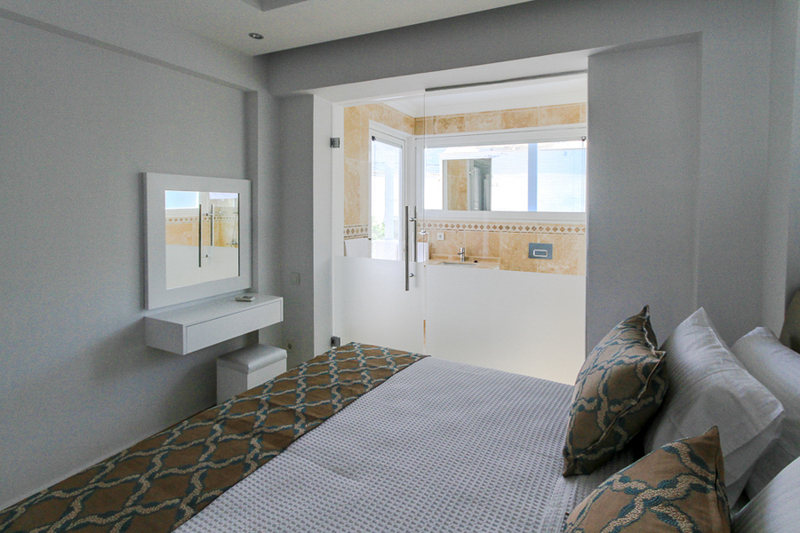 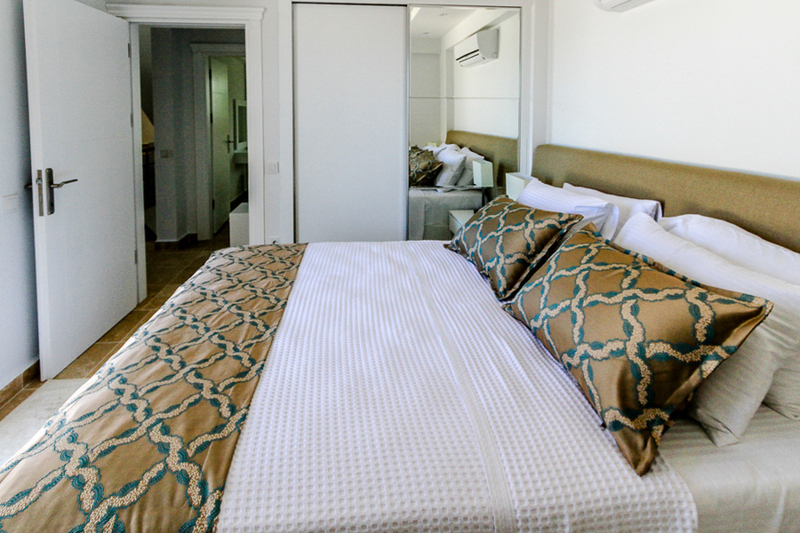 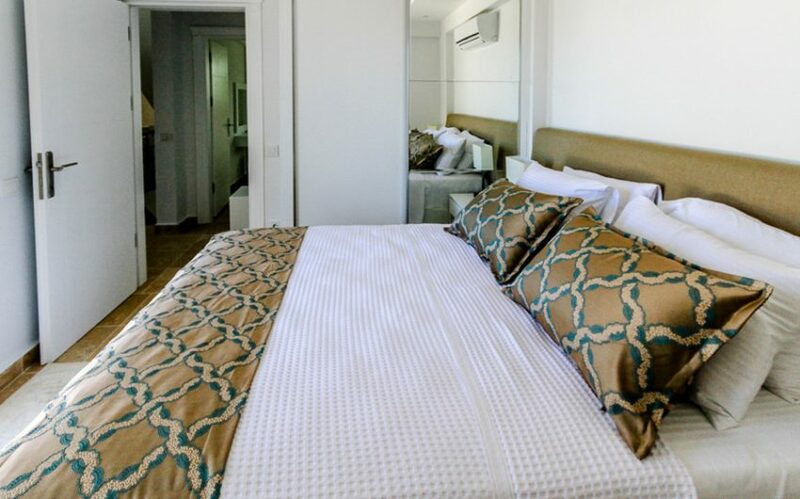 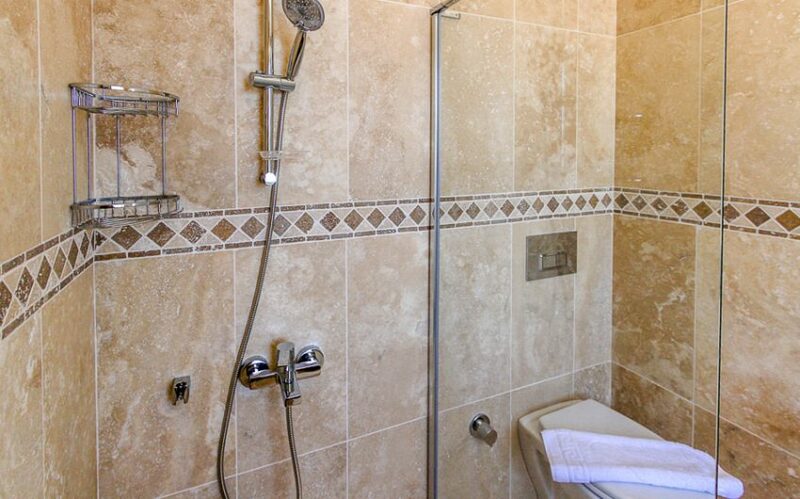 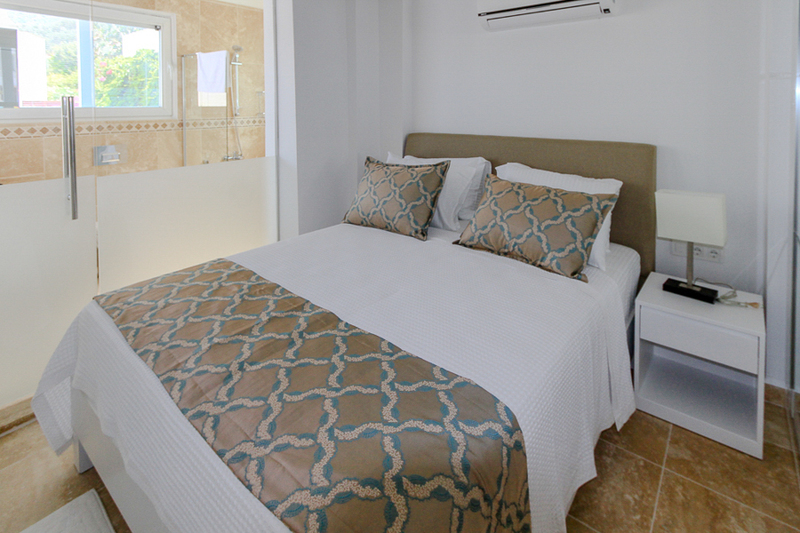 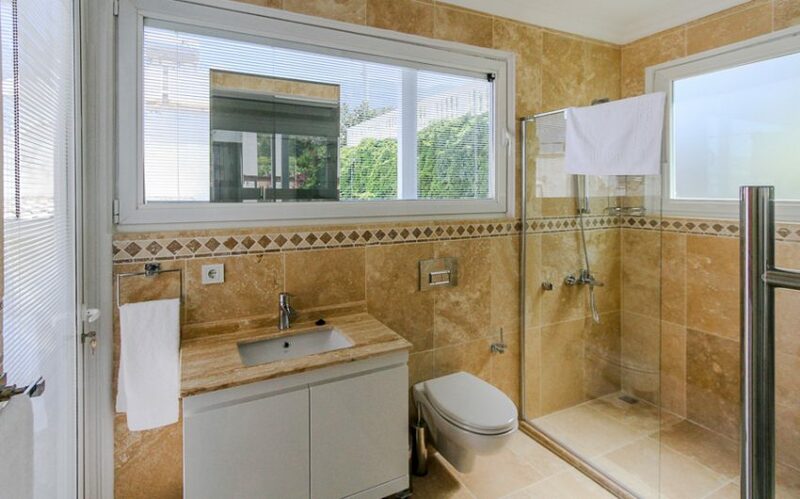 Its 7 bedrooms are comfortably luxurious all possessing en suites. 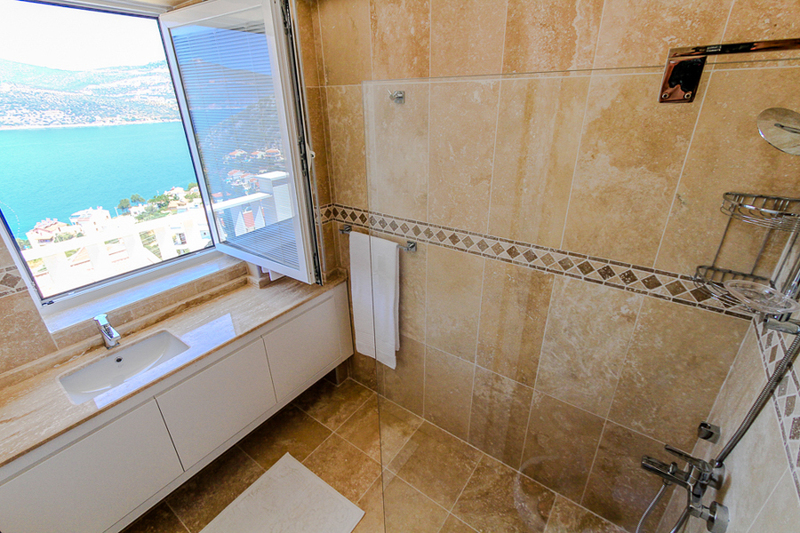 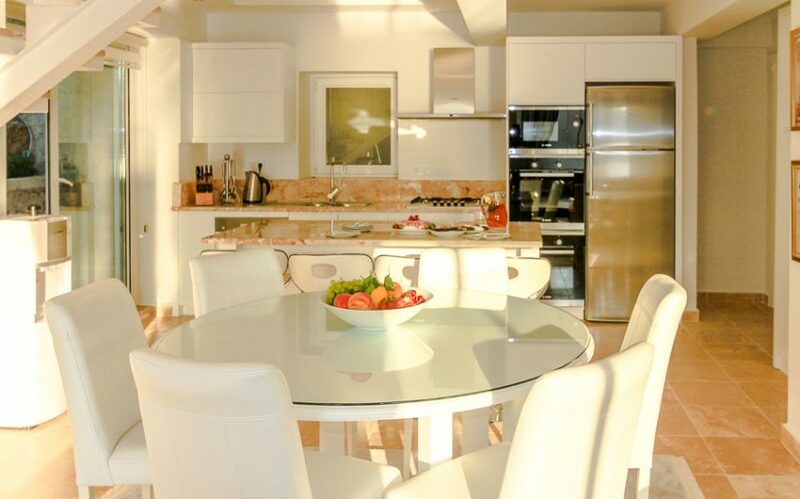 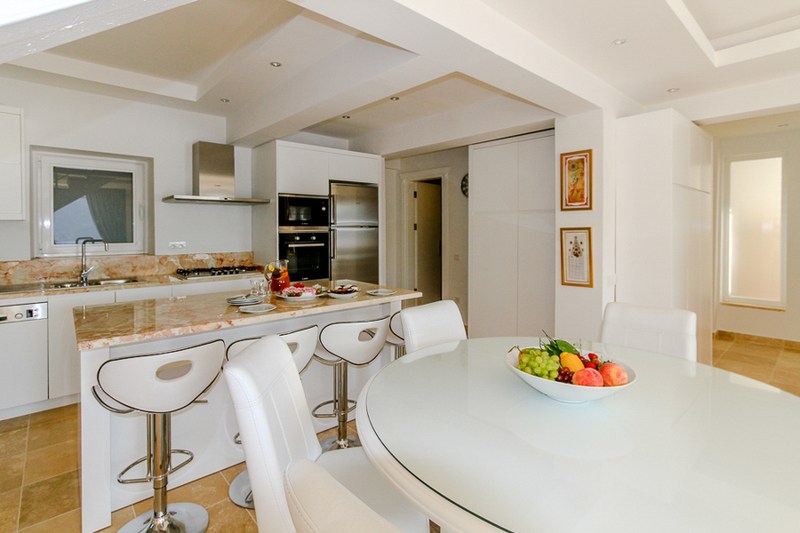 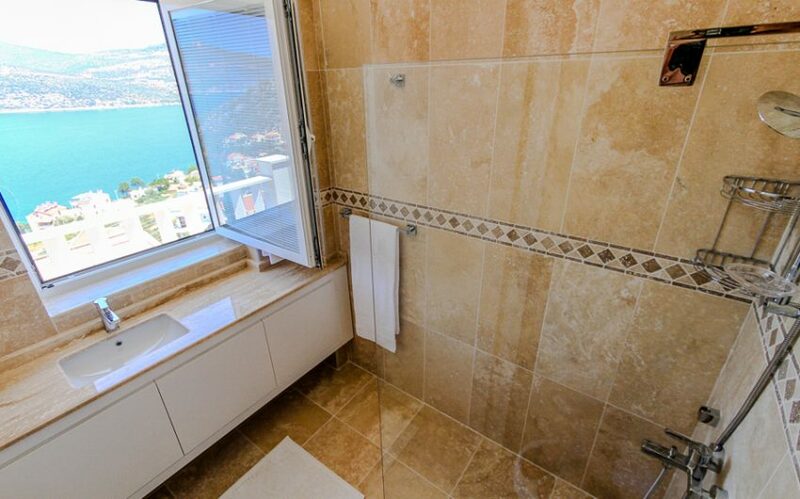 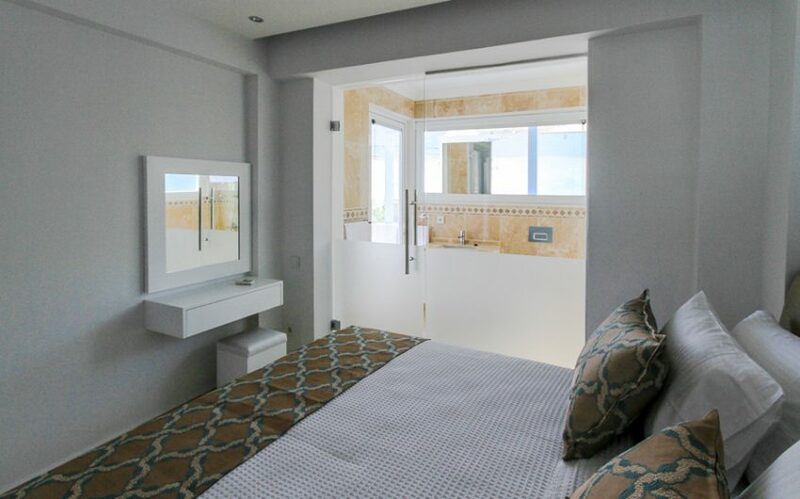 Arranged over 3 floors, the top suite has its own beautiful sun terrace presenting peaceful views. 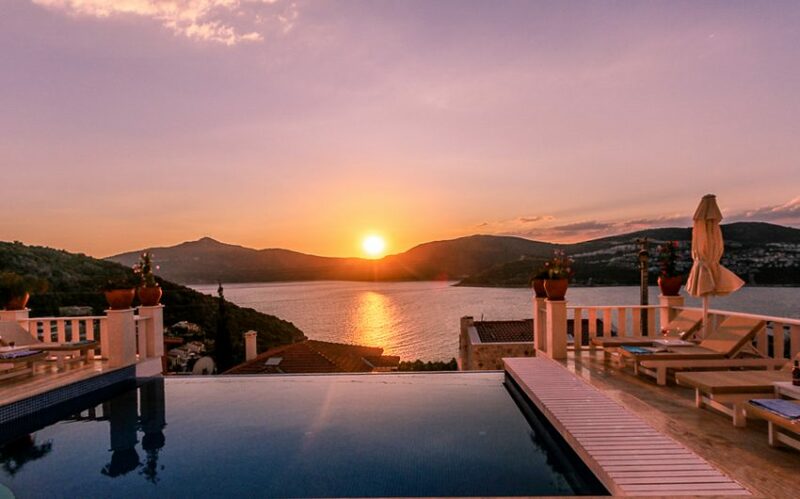 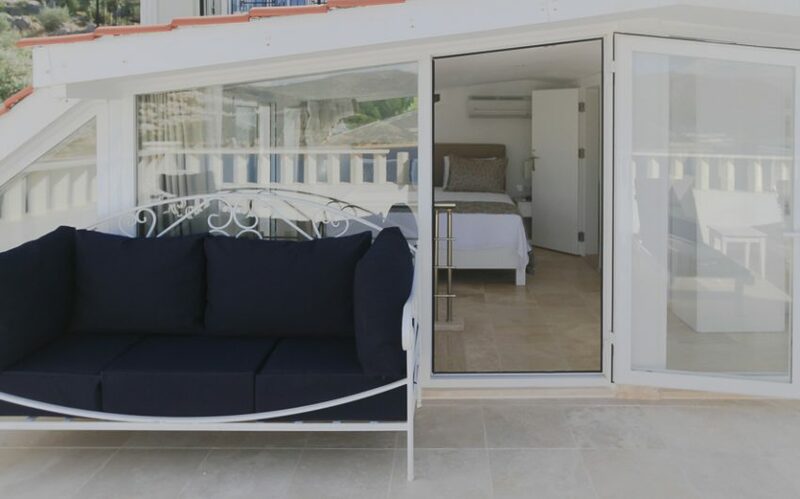 The other 6 bedrooms all have wrap around balconies incorporating stone balustrades from which to admire the twinkling sea, super sunsets and much more. 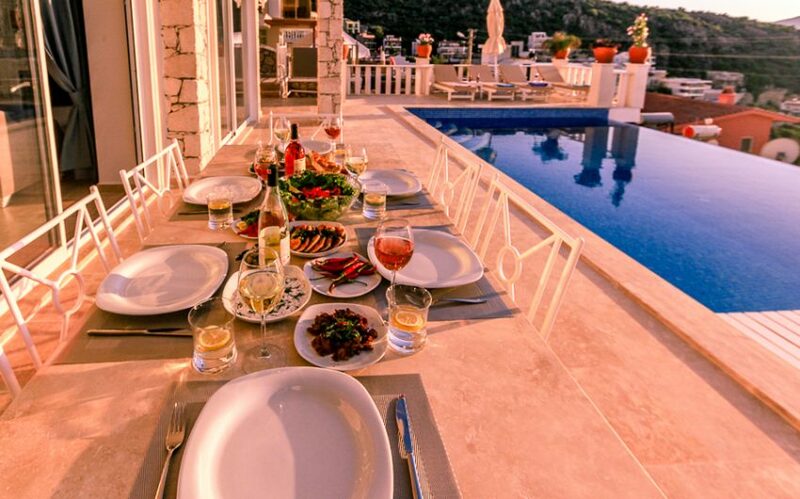 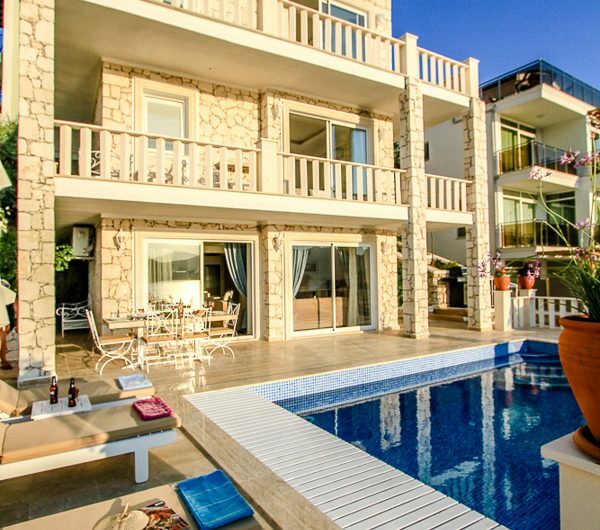 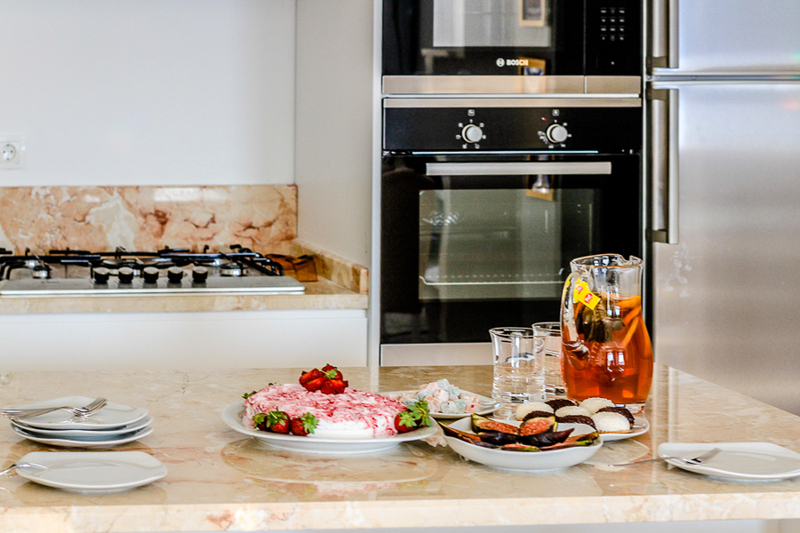 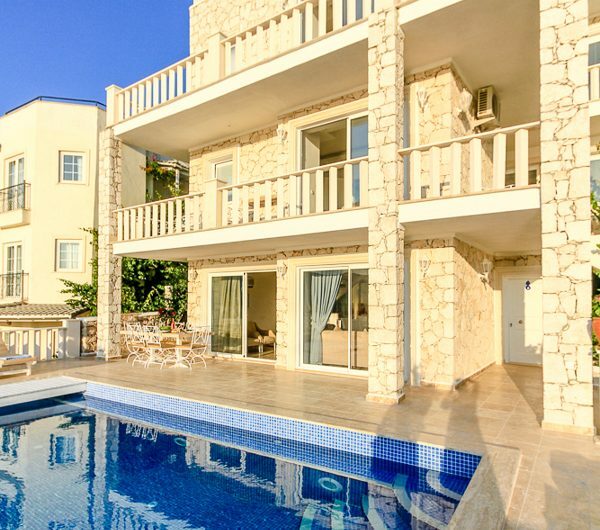 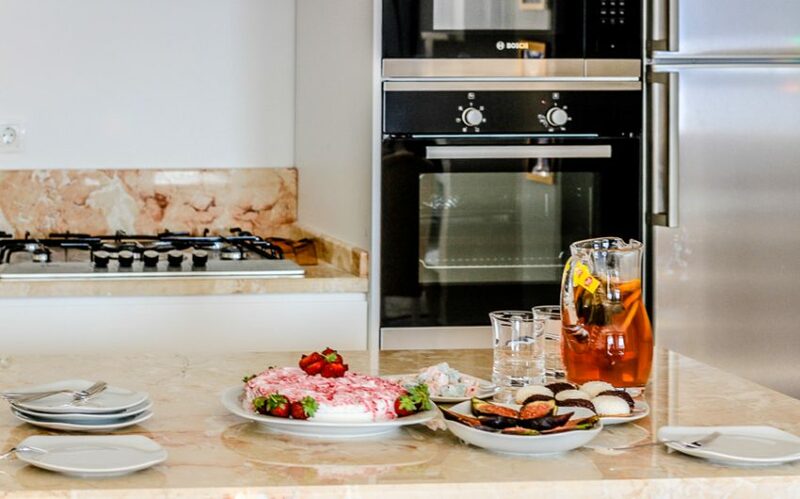 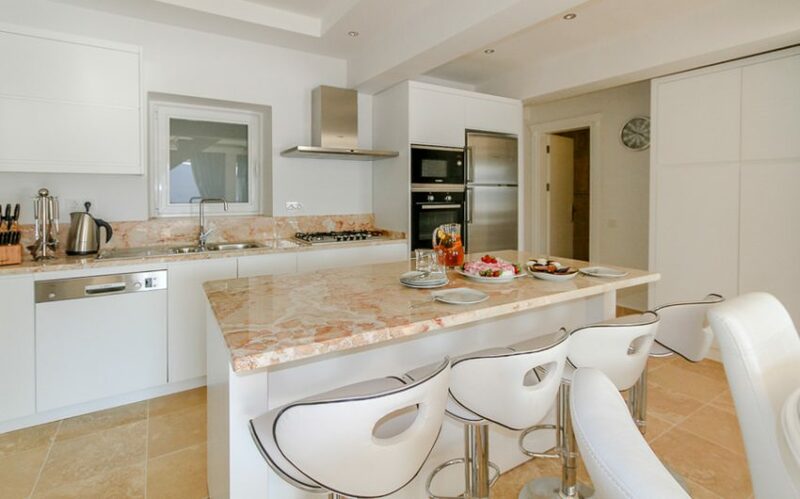 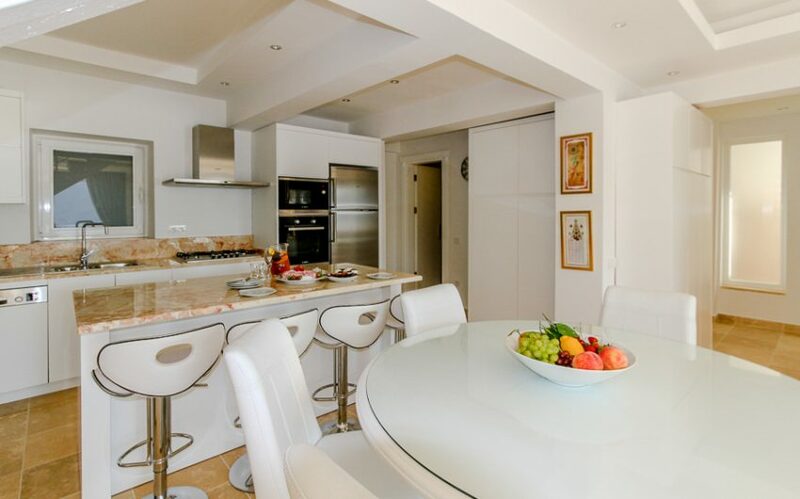 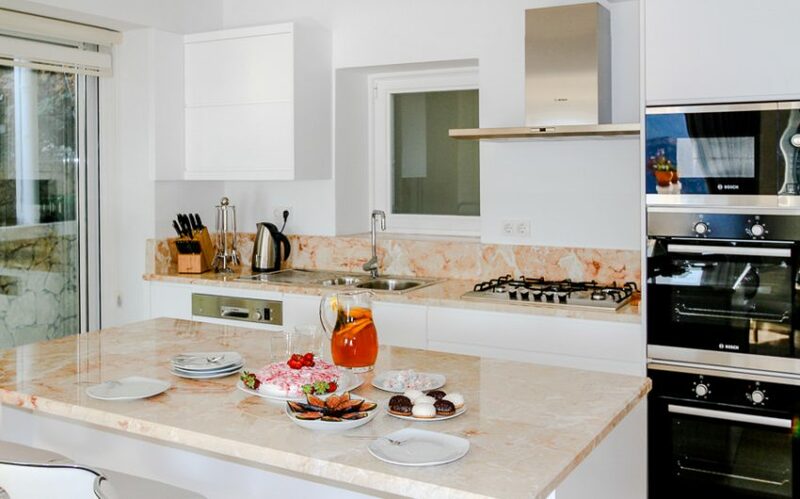 We can highly recommend this villa as the perfect place to stay for a large group of friends or family. 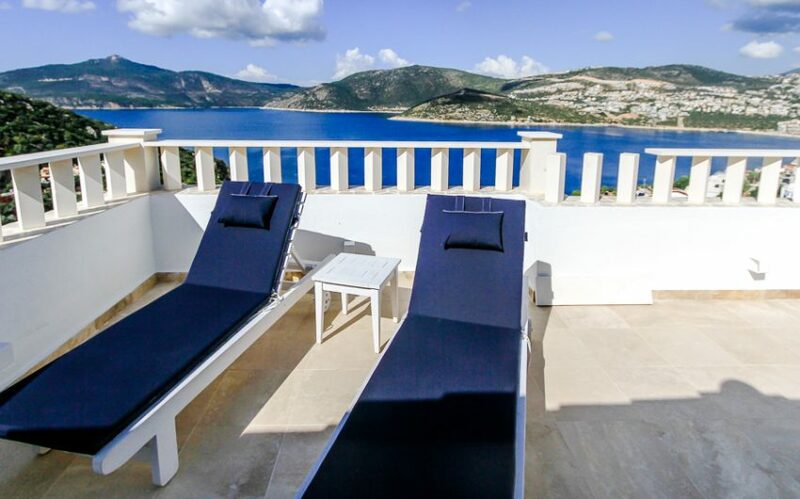 All the occupants will happily find areas of contentment which include the infinity pool, jacuzzi/paddling pool, relaxing sofas and sun loungers, parasols, as well as a splendid outdoor dining area complete with BBQ and outside speakers allowing you to pipe your favourite tracks through the airwaves whilst not missing that spectacular panoramic vista for a moment. 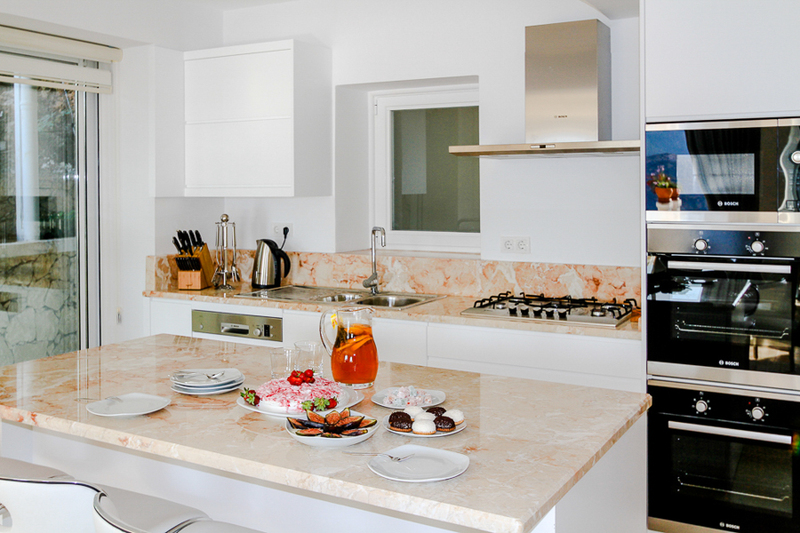 Bob’s café/small grocery shop is just a few minutes’ walk away. 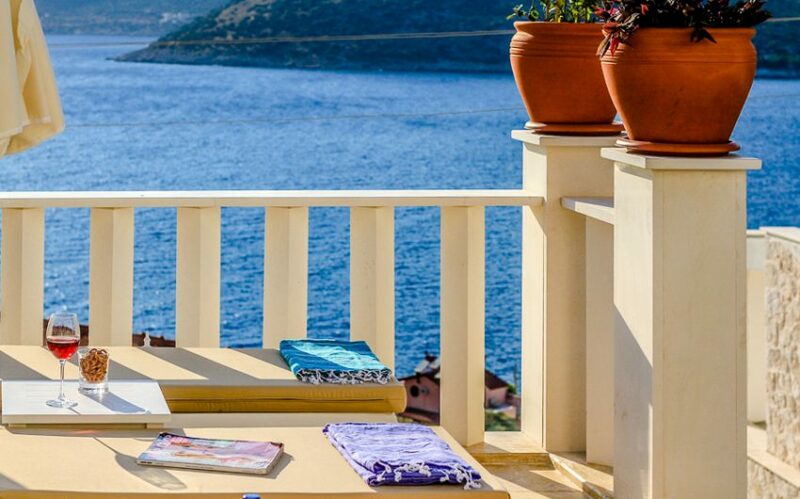 The renowned Mahal beach club allows guests to use facilities and is a great place to take the kids for water sports. 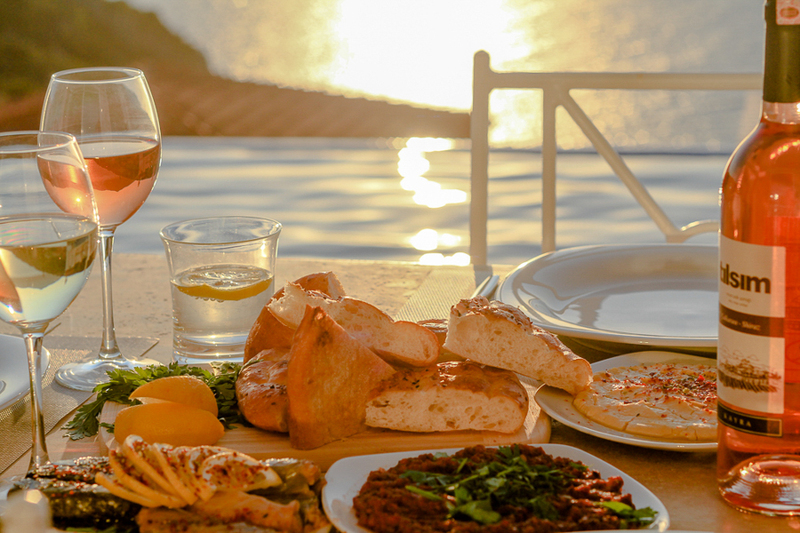 You may also enjoy the waterside restaurant which provides excellent food and drinks. 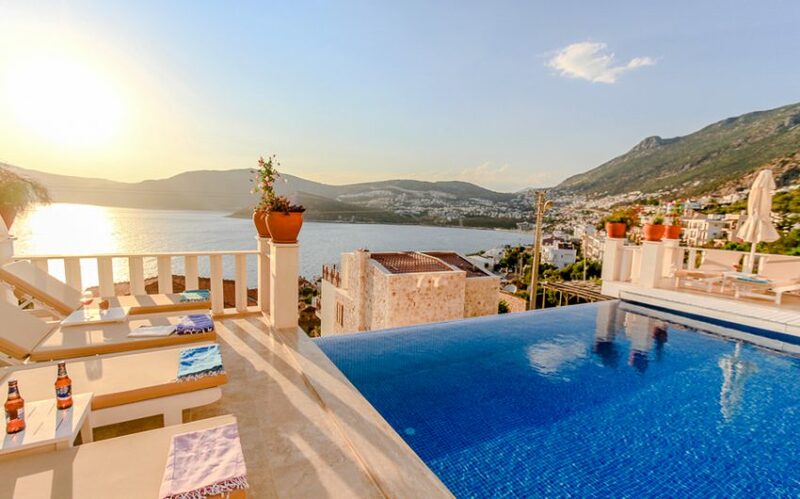 Also from here you can take a water taxi for just a few pounds, across the bay into the main Kalkan town where a plethora of shops and restaurants line the cobbled streets. 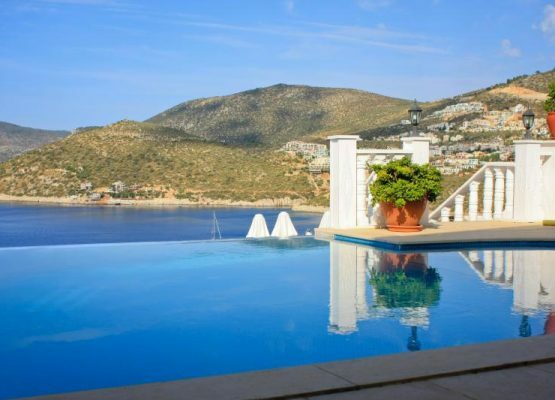 It’s certainly possible to take a gentle walk into town as well from the villa, it is likely to take around 15-20mins. 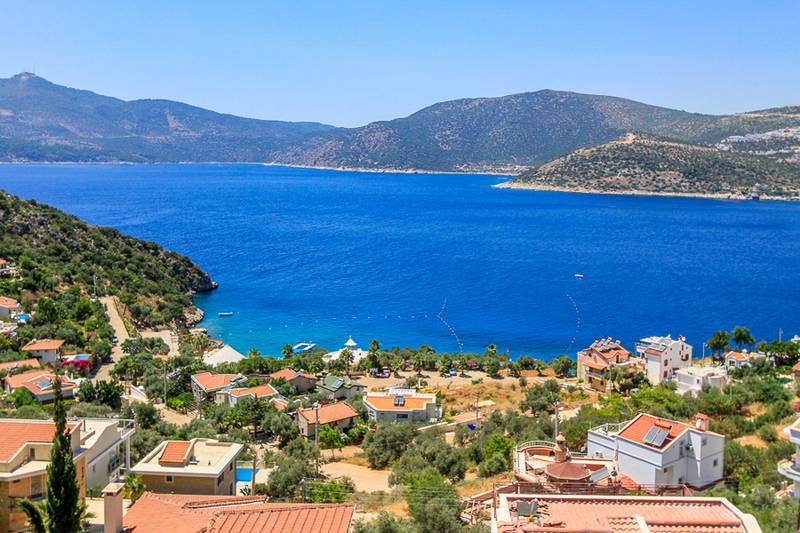 There are also many taxis available between the town and Kisla area too. 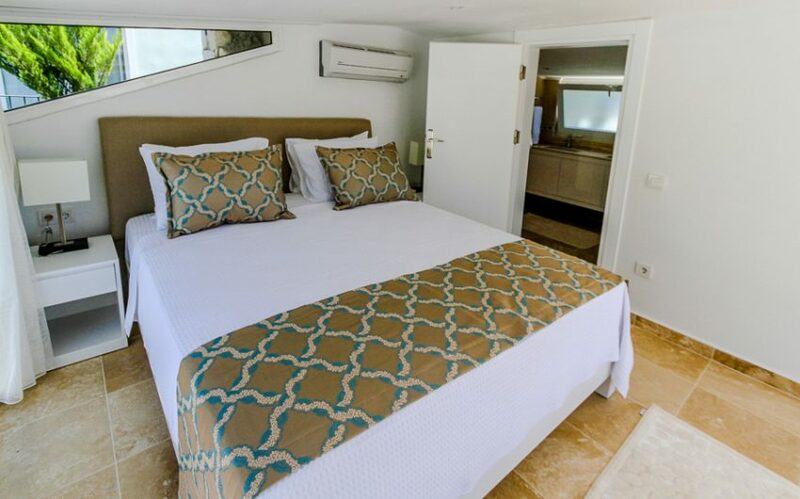 However, if you prefer your own vehicle to get around and see sites etc a little further afield then we would be delighted to arrange this for you. 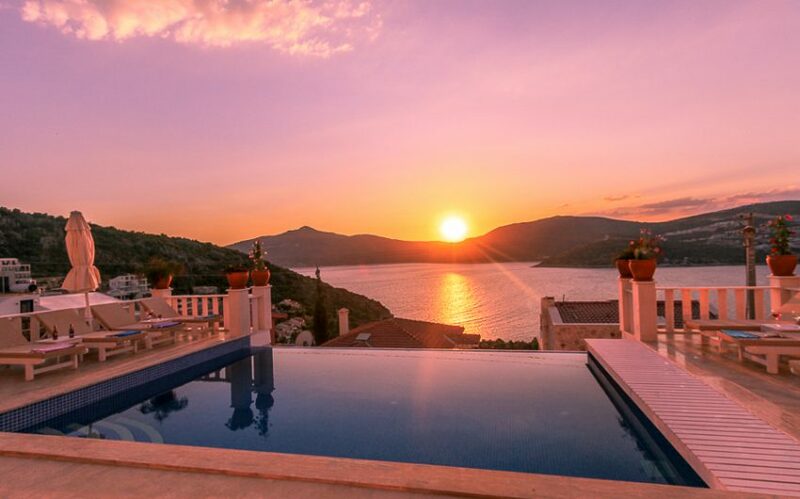 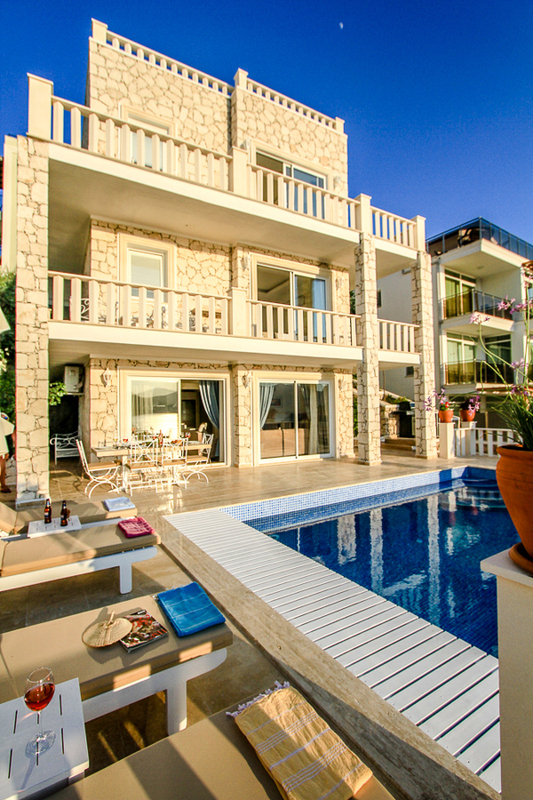 Don’t miss the opportunity to book this outstanding villa early as it will be in high demand. Contact us for shorter or longer term rental prices and early booking discounts.